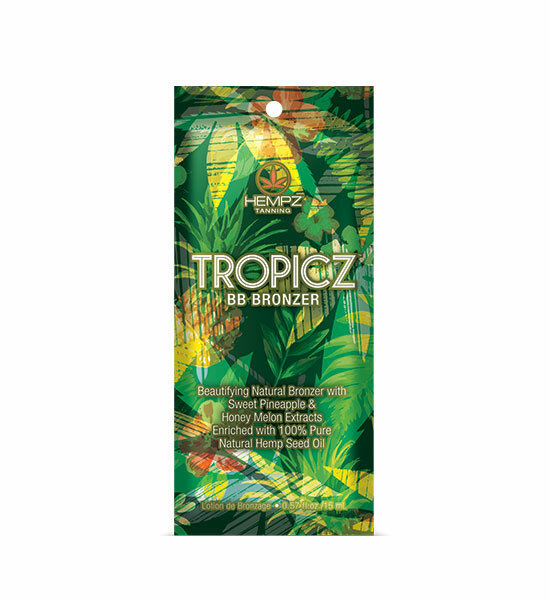 Return to paradise with Hempz Tropicz BB Bronzer. This Beautifying Natural Bronzer with rich tan enhancers and streak free Natural Bronzers helps deliver that perfect island glow. Sweet Pineapple & Honey Melon Extracts are rich in Antioxidants that help to tighten, brighten and even out skin tone while also providing extreme moisture and energizing benefits. Let the sweet aroma of fruit and sunshine take you away while the Tropicz does all the work.